The old saying is ‘you can’t teach an old dog new tricks’. But while that might be the case for actual old dogs, the same isn’t true of those ‘old dogs’ in the transport industry. 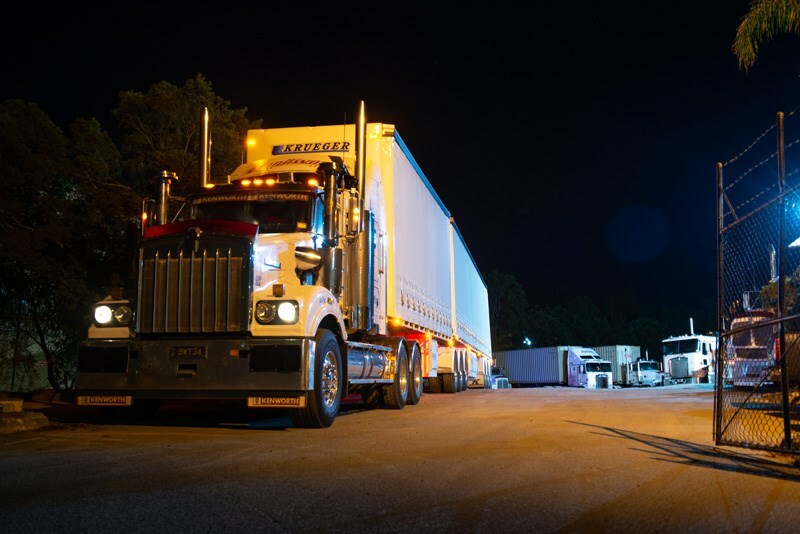 More to the point, when you’ve learnt the new tricks and grown your transport business from a ‘two trucks between mates’ kind of business into a flourishing 34 truck and 75 trailer fleet, what new things are there left to try? Well, for Kim Woods, his wife Diane and sons Jamie and Chris, the one thing they could try was buying their first brand new truck. 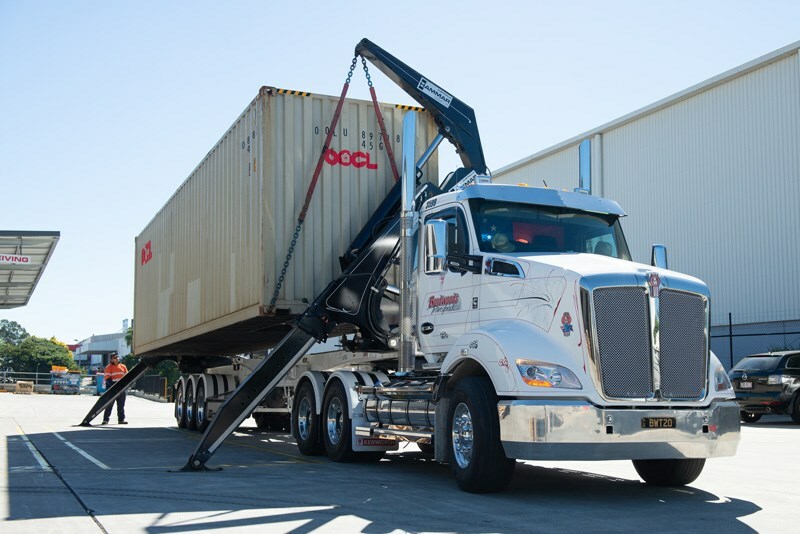 Kim formed Brisbane-based Bondwoods Transport in 1994 with a mate. Back before Facebook, Google and Ebay filled our days, Kim was running 48ft boxes on and off the rail for Cubico/Boxcar. Kim and another contractor where kept flat out with local work. When Cubico mentioned bringing in another subbie, the two men bought another truck and formed Bondwoods Transport. For 14 years Bondwoods built a solid reputation based on both men’s old school values of service and reliability. In 2008 Kim bought out his partner and it became a one-family operation. "It was too large a job to change the name," explains Kim’s son Jamie. "So we just kept Bondwoods." During those first 14 years Cubico was bought out, the company that bought Cubico was then bought out, then that company was bought out and then that company was also bought out and then … well, you get the gist. There had been many changes of management but Bondwoods kept supplying their reliable service and the work kept coming. Bondwoods did meet on hard times when the Global Financial Crisis hit in 2007. They lost a chunk of work with several trucks having to be sold and the fleet downsized to eight prime movers. Coincidently 2007 was also the year Jamie joined the Bondwoods’ driving team (I’m not saying he caused the GFC, but the timing is interesting). As 2008 disappeared in the rear-view mirrors the Bondwoods’ team was starting to replenish their workload. Over the next decade the business set about building a solid reputation with all its customers. In 10 years they’ve more than quadrupled their fleet, although Jamie admits they’ve never gone chasing work and have looked taking anyone else’s work either. The customers come to them. "Our growth is run by the growth of our customers," Jamie says. Jamie managed six years in a driver’s seat before the business became just too busy for him not to suit up and get in the office. The same thing happened earlier this year when younger brother Chris ‘Boof’ Woods had to retire his seat to take over the interstate operations. While the move to a comfy office chair was to take care of the day-to-day operations, one of the other aspects Jamie was instrumental in was increasing the presentation of the Bondwoods’ fleet. "There’s nothing real flash about them," Jamie humbly explains. "Just a bit of stainless and some pin striping." 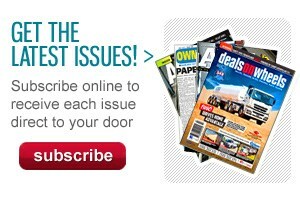 Although when that pin striping is done by the boys at Truck Writers in Caboolture, you know it’s going to stand out. Jamie freely admits that the other reason the trucks stand out is his drivers. The pride they take in their gear shows on the road, which is a case in point. Jamie happily regales a recent story of a customer who was on his way down to the port of Brisbane for a meeting with his current freight forwarder that he was having issues with. "He saw a couple of our trucks in a line of 10 or so trucks and they stood out. Next thing he’s on the phone and Bondwoods have another client to look after." 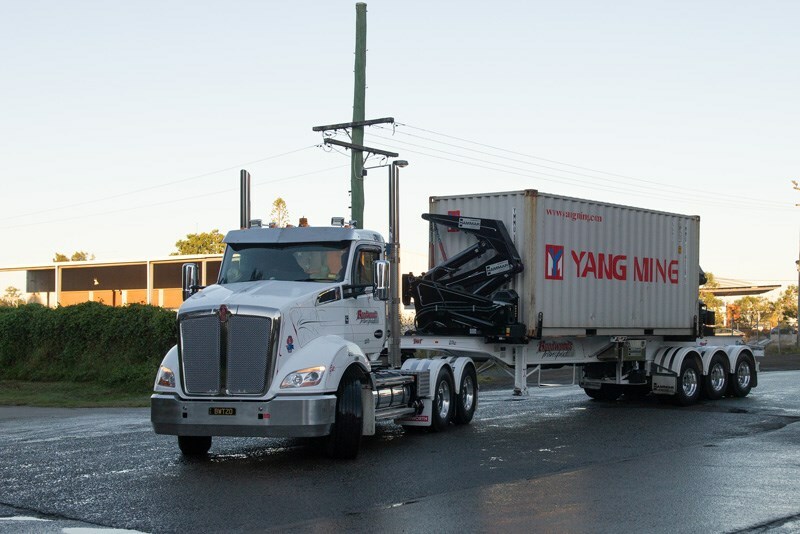 While their workload has increased from local box carting to general freight, steel, produce and everything in between, the roads travelled now go anywhere from Melbourne to Mackay. 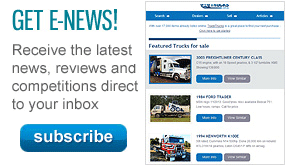 However one thing has always stayed the same – the purchase of second hand trucks. "It’s always been the way Dad modelled the business," Jamie tells me. "Originally it was to keep the costs down, we did a lot of subcontract work and the money just wasn’t there. "The flipside of buying second hand is having to allow for more maintenance, so having two fulltime mechanics on board meant everything was looked after." As far as what second hand trucks they purchased, Kim wanted to keep variety in the fleet. There’s K104s, K200s, T401s, 404s, 404 SARs, 408s, 409s, a T650, a 904, a 604 and a 608 .It’s a definite variety of Kenworth models. 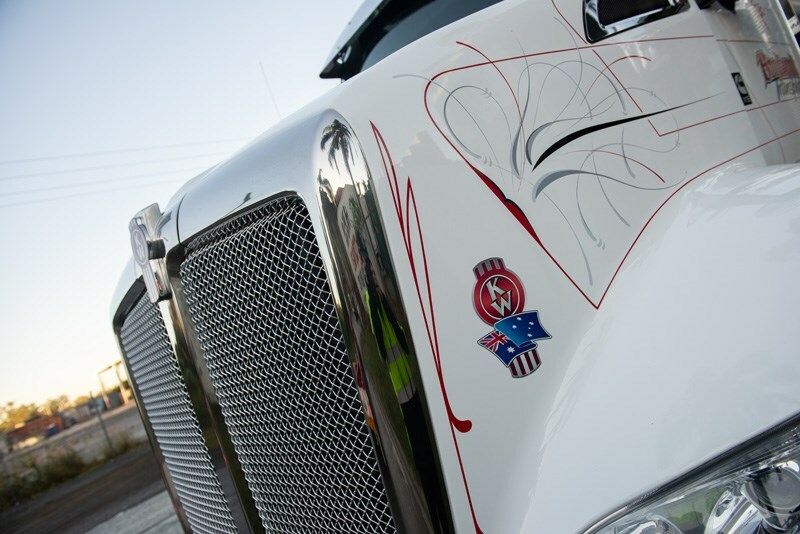 "Nothing stands up better than a Kenworth" is not just Jamie’s opinion, but that of the entire family. "They put up with the harshest conditions and they’re brilliant round town," he continues. If you look closely in the yard though, you will see a couple of bonnets without a KW emblem on them. In late 2017 it was time for a big change and Bondwoods very first brand new truck arrived. The decision came about through the increased workload, coupled with the struggle to find good second-hand trucks that weren’t housing the older EGR motors, an engine Bondwoods preferred to stay away from. Dave Constable from Brown and Hurley’s Yatala outlet was the man to get Kim and his boys into their very first new truck. "He’s been brilliant!" Jamie says. Even though they’d never bought anything from him previously, Dave was always popping in for a chat, checking on the business, going as far as dropping off a gift when Jamie’s wife had their first baby. "When the decision was made it was a no brainer," Jamie adds. "He’d put the legwork in." Dave brought round a stock truck which was white with a black chassis. Another bulls-eye in Bondwoods’ book so Dave had to Uber home. Done deal! The new T610, powered by a Cummins X15, was immediately sent off to Truck Writers to get some scroll work done. 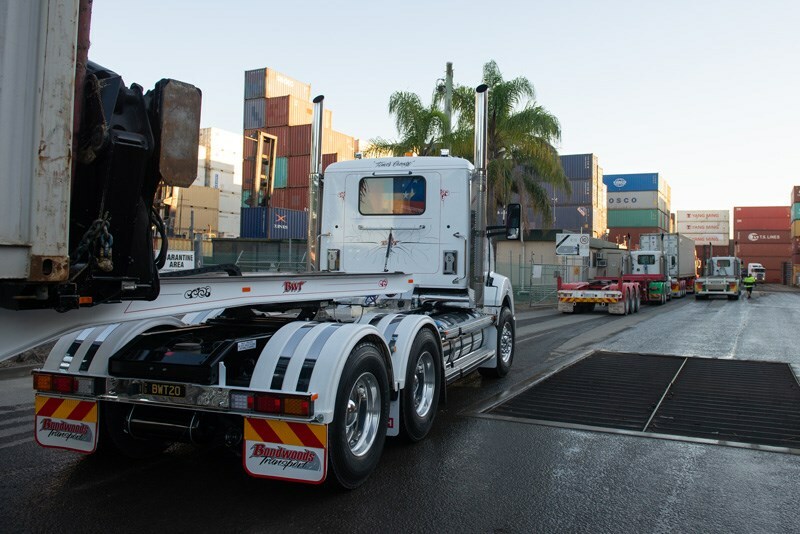 Soon after, it popped around the corner to Leeroy’s Stainless for a little bling before returning home where a new visor from Rocklea Truck Electrical was fitted. One of the other notable attributes of Kim and the Bondwoods management team is their willingness to hire young and inexperienced workers trying to get into the transport industry. Jamie admits to enjoying putting the time and training into the new recruits. "We’ve got three or four guys here under the age of 22. They’re all keen, they love their trucks; why wouldn’t you want them here? "They can’t wait to get here Monday morning; they’re the sort of people you want." 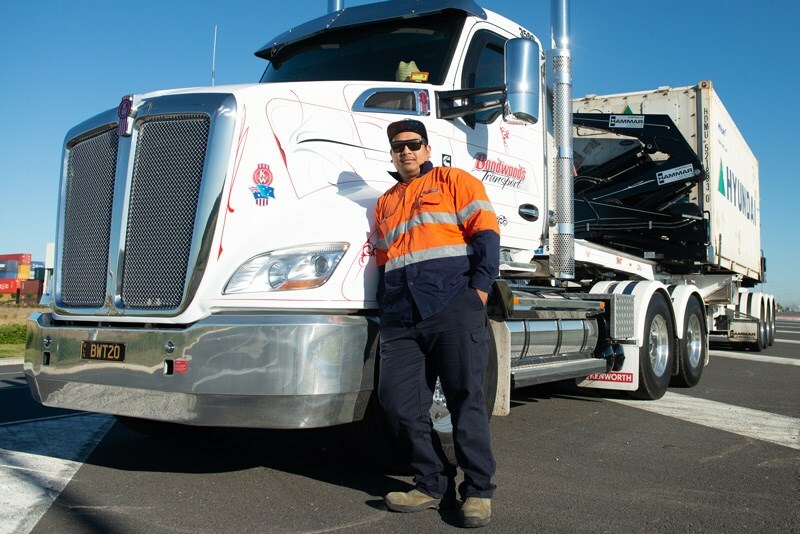 One of those graduates of the Bondwoods’ school of ‘we’ll cart everything’ is the man who got the new keys and the first ever new truck smell at Bondwoods – Chris ‘Coco’ Faaaliga. Chris started with Bondwoods over six years ago and while his job now predominantly involves the new swing lift work, there’s nothing in the company he hasn’t tried. Local DC deliveries to steel, changeovers to dock work, Chris has learned more ropes than a sailing class. Along the way he’s taken a lot of pride in each vehicle he’s had. The last 409 he had looked in better condition than my car, and I clean my car a lot. Jamie admitted that even though Chris works six days a week, the T610 looks like it’s just rolled out of the factory. So how does the new T610 handle the round town work? Piece of cake, not just any cake either, one of those three-tiered chocolate and banana cake creations. Chris loves it, admitting the power of the X15 makes it a breeze. His laugh borders on maniacal when he recants cruising past other trucks when he’s fully loaded. In terms of manoeuvrability and vision, two vitally important attributes when it comes to round town work, the same praise flows from Chris. He had been forewarned of the shaking of the single arm mirrors, but in typical Coco fashion he informs me, "Those kinda mirrors normally shake, but nope, that one’s good … maybe they shake when you keep hitting trees a lot!" 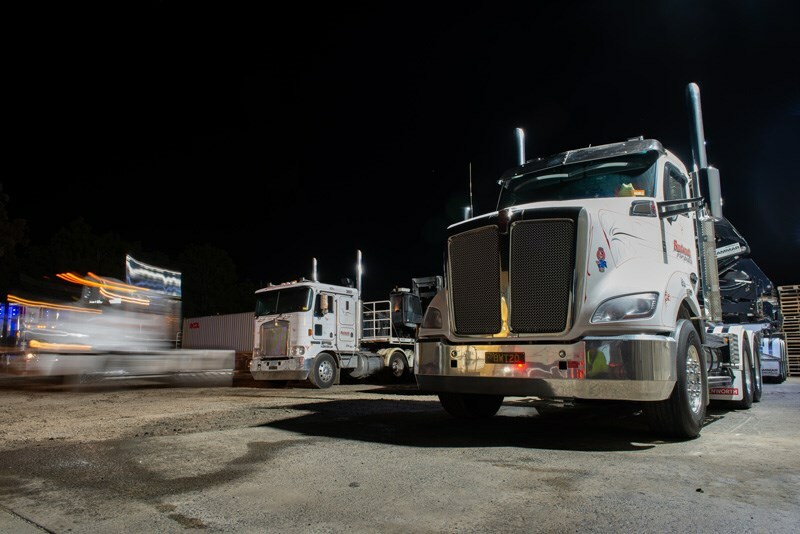 While the new Kenworth T610s have proven their worth out and about on the Australian highways it was great to see how well it performed in more confined spaces. The power of the X15 is evident pulling away time and again from the lights, the turning circle has lost nothing to its younger 4-0 models and the drop away bonnet and large mirrors means you’ve got to pull some real David Copperfield stuff to hide from the driver’s view. 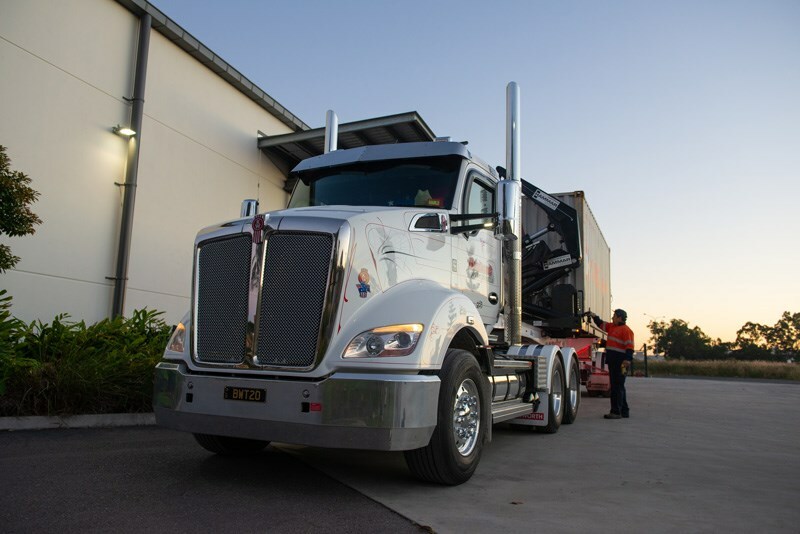 It’s taken 24 years for Bondwoods to get their first truck, and the new Kenworth T610 has definitely made them rethink waiting another 24 for the next one.